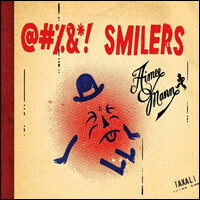 Aimee Mann’s sixth album of original material, 2008’s @#%&*! Smilers, is her best work yet. It’s the first since Bachelor No. 2 to work as a simple collection of songs and not a concept album and perhaps it was that freedom that allowed her to produce such a consistently great record.